In today’s business world, social media marketing is a strategy that no company can afford to ignore. With new social media platforms popping up every day, how do you decide which sites your company should have a presence on? Below is a list of the top social media sites, along with the reasons you should—or shouldn’t—consider maintaining an active profile or page on each platform. As the largest social media platform in the world with over a billion active users, Facebook is a social media platform that cannot be ignored. Unless your company is niche business that deals mainly on a B2B basis with a very specific and narrow type of audience, and doesn’t need to have a public way to interact with or provide content to your target demographic, your company should maintain a Facebook page. Although most companies place Facebook at the forefront of their social media efforts, a small number of companies have decided to abandon Facebook in recent years. This abandonment is due to Facebook’s practice of modifying the algorithms that determine which posts appear on each users’ News Feed, which in turn has resulted in fewer company posts getting seen by a page’s followers. Because of this, companies now have to spend money on Facebook ads or boosted posts to reclaim a prominent place in their followers’ News Feeds. Having to “pay to play” for what used to be free has caused some companies to rethink or alter their Facebook strategy. That being said, only companies that have had considerable and measurable success on other social media platforms should consider leaving Facebook at this time. Twitter focuses on brief, real-time communication, with almost 6,000 tweets posted every minute. Because of this, tweets can quickly become buried in a user’s Twitter feed. Due to this fast paced atmosphere, it is important to tweet at least a few times a day if you want to have any sort of visibility. If your company doesn’t have enough content or commentary at its disposal to maintain an active presence on Twitter, you should consider focusing your company’s social media efforts elsewhere. A major caveat to this rule applies to companies that frequently interact with their customers regarding questions or comments about their products or services. Twitter is the social media platform that customers are most likely to turn to when they have questions or complaints about a company. Because of this, these types of companies should have a customer service specialists monitoring their Twitter account on a daily basis for any potential customer questions or complaints. According to a survey of Twitter users, 42 percent of customers expect to receive a response to a customer service complaint within one hour, so waiting to respond until the next business day could seriously hurt your businesses’ reputation. LinkedIn is the most prominent social network for professionals. It’s an extension of old-fashioned, face to face social networking, and should be used as an avenue to connect with your colleagues, as well as potential business leads and referral partners. If you run a B2B business, you should have both a personal and company profile on LinkedIn to increase the visibility of your company among other professionals in your field. Engaging in LinkedIn groups, both through posting and commenting on other posts, is another great way to build the professional reputation of individual members of your team. Top-level members of your management team should also consider posting original articles on LinkedIn’s Publisher feature to improve the reputation and credibility of that individual, as well as your company. Although Google+ is a platform that has never caught on in comparison to competitors like Facebook, the fact that Google+ is a Google product should make you still seriously consider investing time on this site. Content that is posted on Google+ is picked up by Google’s search engines in a way that content from other social media sites isn’t, so if you are looking to increase your company’s SEO, your company should be on Google+. Another reason to have a profile on Google+, especially for local, service-oriented businesses, is Google+ reviews. Once a company receives five Google+ reviews, the number of stars associated with your business will show up directly on Google search results. Having a high rating on Google+ reviews will greatly impact the reputation of your company. Pinterest is a visual platform in which people can “pin” pictures and other content to their boards. This content usually consists of products that the user likes, and therefore, is the leading platform for website traffic referrals. If you run any sort of business that’s core business consists of products dealing with home decorating, fashion, recipes or any other product that is visually appealing—especially to targeting women—your company should have an active presence on Pinterest. Instagram is currently the best platform to reach out to teenagers and other people that love a good image or short video. The difference between Pinterest and Instagram is that pictures shared on Instagram primarily focus on photos of people, landscapes, and the like as opposed to products, so companies such as travel companies, magazines or any other companies that have access to high-quality images of people using their products should be on Instagram. Using any sort of stock photography on Instagram is considered a major faux pas and should be avoided at all costs. Even though you should consider having a social media profile on each of the relevant platforms above for your business, remember that having an inactive social media profile might be worse than not having a profile at all. However, if you are busy and unable to consistently stay active on social media, then there is a variety of software available to help schedule posts such as Hootsuite, TweetDeck, SproutSocial, etc. Because of this, it is important to have a social media strategy in place before you set up your social media accounts. Be sure set goals ahead of time, such as the number of times your company should be posting, tweeting or pinning per week. Once you develop your social media strategy, make sure you have the resources to properly execute your strategy. 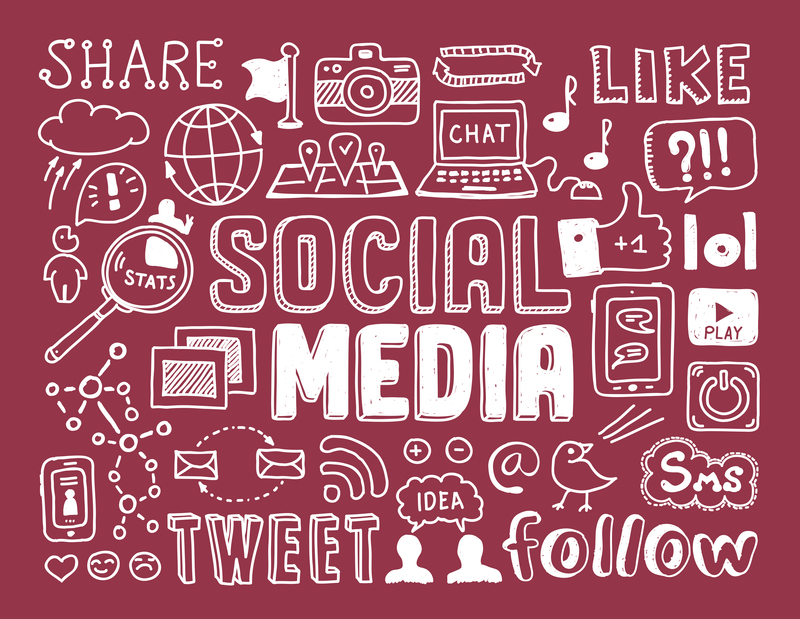 If you find yourself unable to maintain an active social media presence with your current staff level, you should either hire a social media professional to manage your social media efforts, or enlist a marketing firm to manage your social media presence on your behalf.